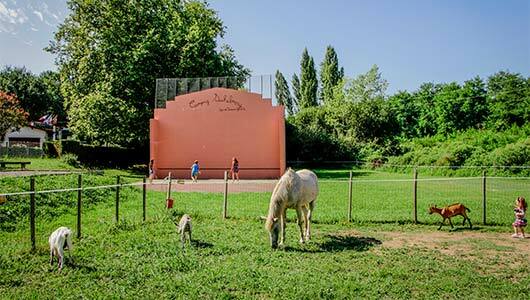 Camping Suhiberry is an ideal starting point to discover the culture of the Basque Country. Between the character of its coastal landscapes and the authenticity of its hinterland, awaits you with a heritage of unique richness and variety. 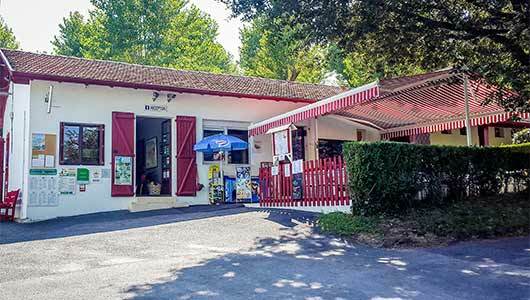 World-renowned surf spots, small fishing ports with untouched charm, royal and imperial resorts along the ocean and typical Labourdin villages at the foot of the Pyrenees will seduce lovers of sporting holidays, cultural visits as well as relaxing stays. 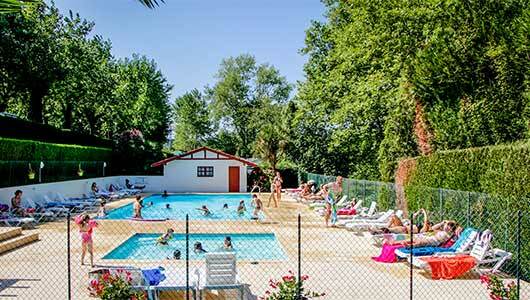 A few steps from the beautiful beach of Socoa and the Spanish border, the Suhiberry promises you an exotic holiday. White facades with red shutters, pelota pediments, local festivities, cideries, Espelette peppers, cold meats, cheeses and seafood, everything is to discover or rediscover! 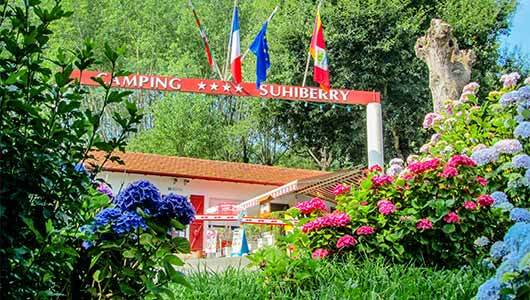 Our 4-star Camping Suhiberry Campsite in Urrugne-Socoa is nestled between the mountains and the sea on the Côte Basque. Our team guarantees a friendly welcome to our verdant campsite dotted with colourful shrubs in the shade of oak and poplar trees (169 pitches over an area of 5 hectares). Next to the sea, it is the perfect location for those who love surfing, sailing, diving, and of course lazing around. 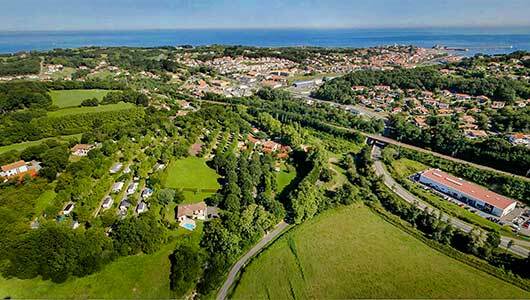 We are 1.6km from the beach and fort at Socoa, close to the town of Saint Jean de Luz (3km) and near Hendaye and the Spanish border (5km). These charming family-friendly seaside resorts are known for the large and beautiful beach of fine sand that stretches between them, their history and the pretty fishing port, not to mention the welcoming terraces of the cafés. We can show you where the hiking trails start so you can explore the nearby Larrun/La Rhune – the legendary mountain of the Pays Basque. Your efforts will be rewarded with magnificent views! There are many paths that set off from our Pays Basque Campsite.